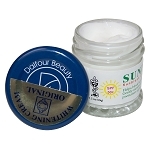 Dalfour Beauty is considered the finest skin lightening and whitening product on the Market. It works on virtually all skin discoloration problems. Gold Label/Red M has very strong and effective skin brightening. 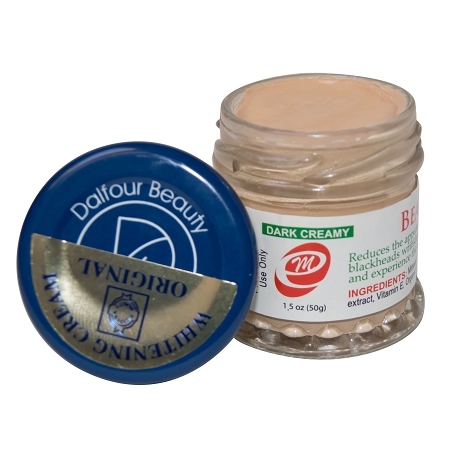 Dalfour Beauty products are botanically based, safe, natural, gentle and are especially effective on skin blemishes and freckles. 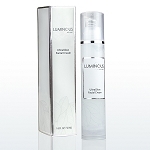 Its advanced non-greasy formula keeps the skin clear, moisturized and soft, helping to protect and prevent spots. Acne marks are often visible for long periods and may be permanent but this product will help reduce or eliminate their appearance as it lightens dark pigmentation and brings back healthy, soft and clear skin. Freckles can increase from the action of sun and wind. 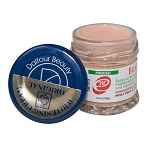 Dalfour Beauty Cream contains carefully blended substances that help clear skin of freckles. Once the desired skin tone is achieved, use the cream once a week so that freckles will not reappear. Been using it for a year now and have a clearer skin since then. Flawless Beauty & Skin thank you.. I saved a lot too. I first use this product 2 yrs ago when we're station in Bahrain. A friend of mine introduce me to use St. Dalfur from Kuwait.i really like the product it work with my acne prone skin. 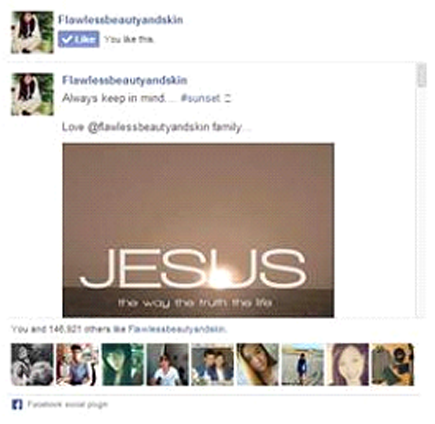 I also like ordering from Flawless Beauty since her product is authentic and price nicely. I love this product..super like it,not yet done with my first jar but my friends had already noticed the amazing results..it reduces my freckles and gave me a smoother,whiter and glowing skin. Thank you so much flawlessbeautyandskin for this product,till next purchase. The Dalfour whitening cream is truly effective and worth the price! I saw the results after 2 weeks of using it. I am very satisfied and will surely recommend this product. 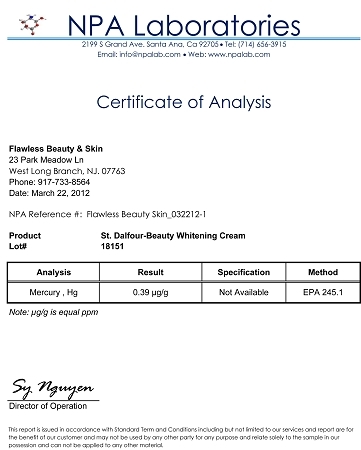 I love this product.. And only on this site where u can find the real st. Dalfour cream..100% original.. I used to have a lot of pimples and they are all gone because of this products. 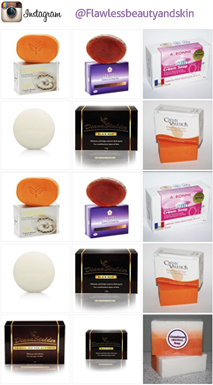 Thank for suzzy for selling only the best products that suits all skin type.. I recommend this products and it works very good to me.. Thumbs up.. This product works great for someone who has oily skin but I prefer the excel brand. Please please help me find where to buy this product here in bacolod city are. 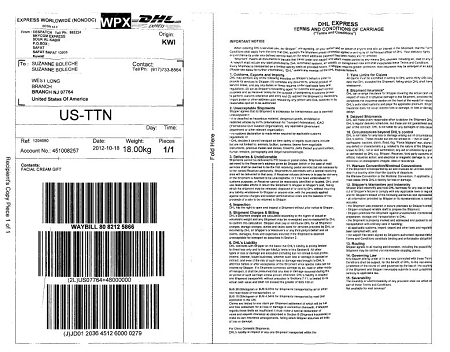 I once tried the product 5 years ago. And i liked it. I love this stuff!! i only use it at night and i saw results within the first week!! This product is ok. I see some changes in my skin a little bit. This cream makes my skin look smooth and it covers up the pimples and acne. There is not a big change, like I thought there would be.